Before launching the crowdfunding campaign, we were able to find our audience online with a newsletter for customer and product research. When you hear the story of Elena Favilli and how she got to publish her series of books Good Night Stories for Rebel Girls, two things come to your mind: first, she might as well be featured in one of these best-sellers dedicated to strong female role models, secondly, everybody, even boys, should get to know and appreciate the fearless women portrayed in these books, a literary phenomenon that over three years has been translated into 48 languages (the Chinese version will be released soon) and sold about 4 million copies. 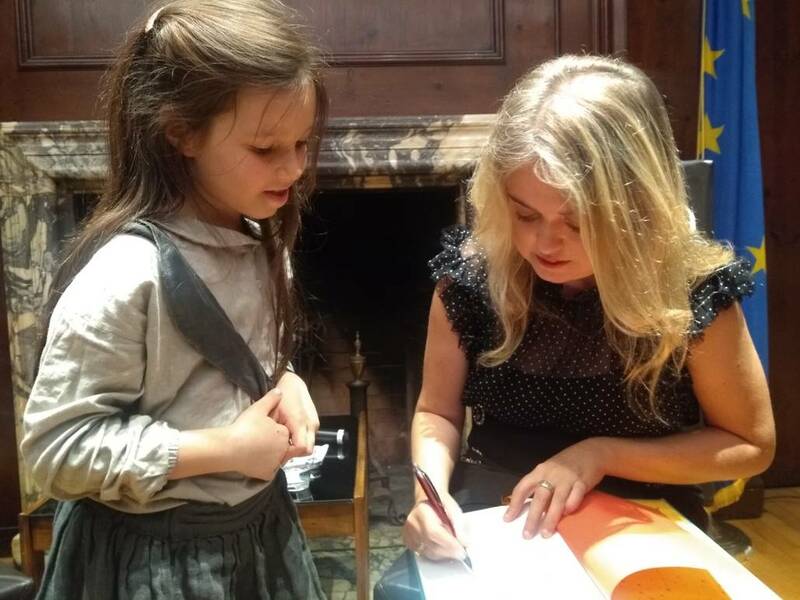 Writer and entrepreneur Elena Favilli's dream was creating unique editorial experiences, she wanted to have her own media enterprise, and lately, she found a precise mission to accomplish: teaching young girls that they can do and be whatever they want. 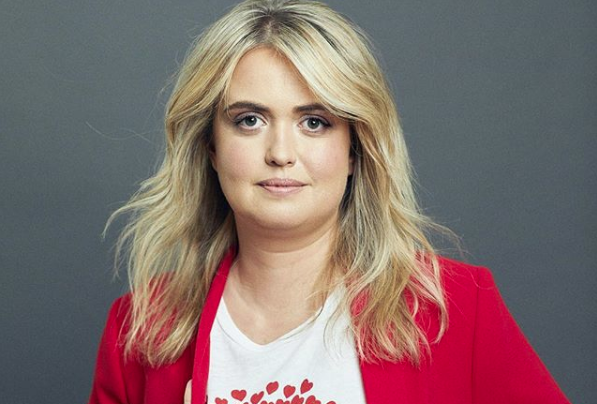 She achieved all her goals with a very traditional medium, a book, but also with the strategy that comes from having navigated for years the difficult tech-world of Silicon Valley - a tough environment, especially for women. 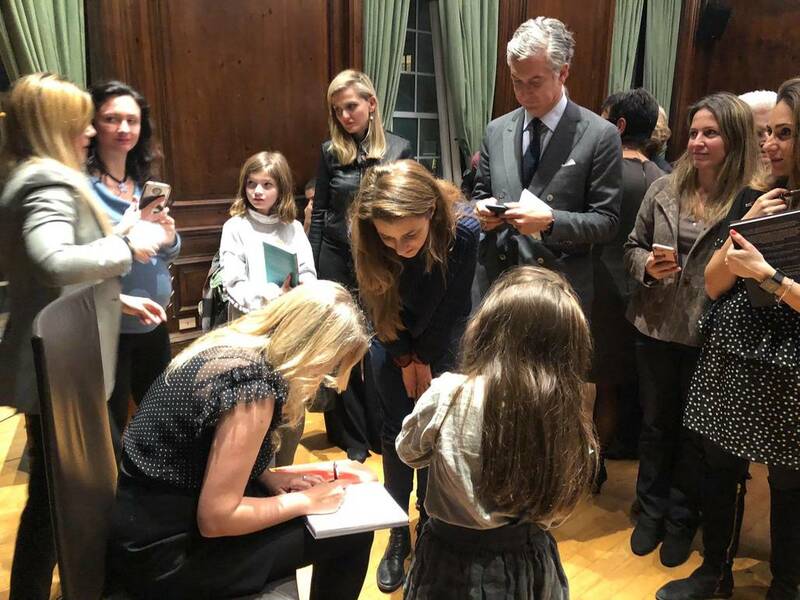 "Good Night Stories for Rebel Girls is not only a celebration of success, which sometimes can arrive late in life, but also of the path that gets you there," said Favilli while talking on February 7 in front of a crowded room at the Italian Cultural Institute of New York. 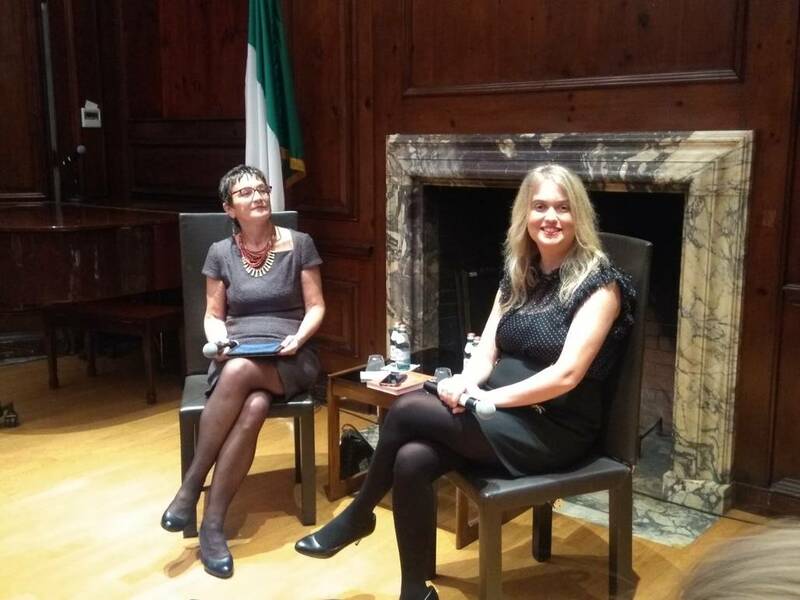 Interviewed by journalist Maria Teresa Cometto, Favilli was the first guest of “Italian Creators of our Time,” a series of conversations with Italian professionals and creative talents in collaboration with the Consulate of Italy. 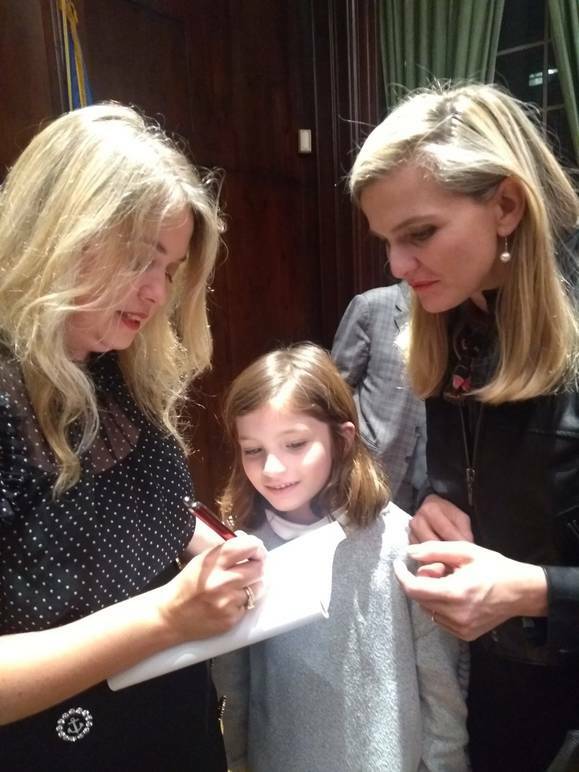 The event was also attended by Consul general Francesco Genuardi, his wife Isabel Achaval Genuardi and one of their two daughters, Thea, one of Favilli’s fans. 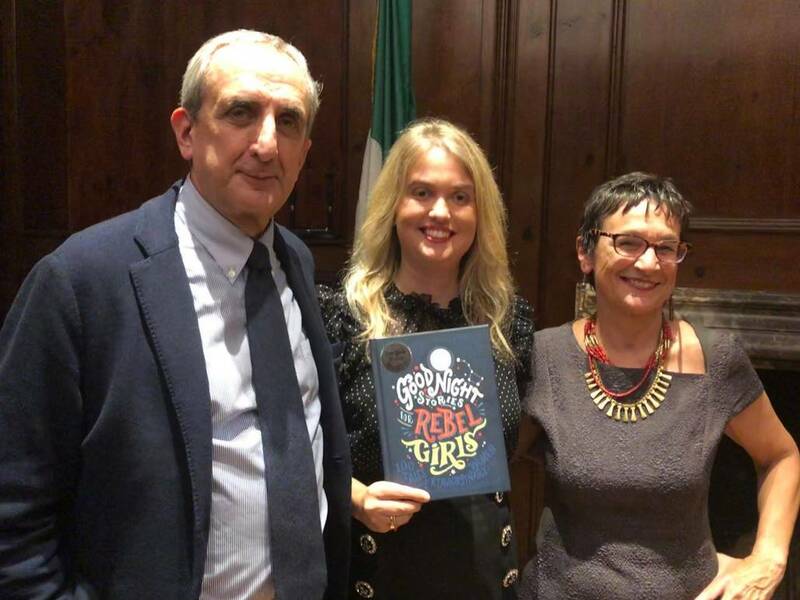 Among the public, other young readers who looked at the author with eager eyes and without losing one of her words, in their laps one or more copies of their Good Night Stories for Rebel Girls, the first book of the series published in 2016 by Favilli with the co-creator Francesca Cavallo. However, Favilli, based in Los Angeles but born in Tuscany, the only child in the small village of Loro Ciuffenna, is more than a writer. 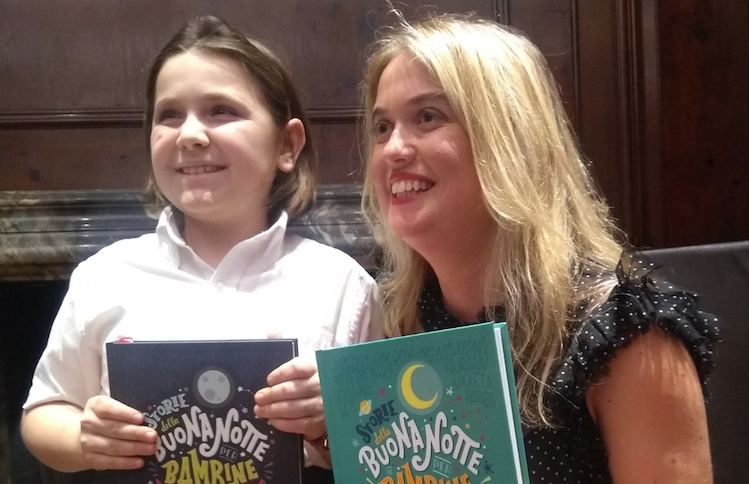 Even before becoming a literary phenomenon, her global bestseller had broken records on the crowdfunding website Kickstarter: over 29 days Favilli and Cavallo raised $675,614 on Kickstarter and then using Indiegogo's InDemand platform that grew to one million dollars. They had started with the goal of raising $40,000. These records are part of the author-entrepreneur’s magic fairy tale. Like every hero, she was struggling before finding her success: "The crowdfunding campaign was really our last resource," she said, "When we launched it at the beginning of 2016, our startup Timbuktu, the media company that we founded in 2012, was not doing well." 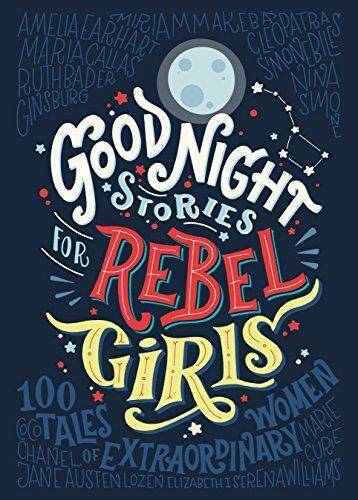 Yet, Good Night Stories for Rebel Girls was not an overnight success. Before this book, the co-authors had launched 12 other apps and six other books. Plus, for about one year they had built their community and tried to understand its taste: “Before launching the crowdfunding campaign, we were able to find our audience online with a newsletter for customer and product research, a lesson that we had learned along the way in the startup scene of Silicon Valley” where Favilli used to live before moving to LA. While remembering her days in Silicon Valley, Favilli also recalls the discrimination against women in this world where venture capitalists trust only young, male creators in hoodies and jeans à la Mark Zuckerberg rather than anybody else who doesn’t fit this stereotype. “Silicon Valley people are very rigid, they invest in what they can recognize,” Favilli said. She then decided to move to the more laid back Venice, in Los Angeles. Could she ever move to the now start-up friendly New York? “I am in love with California and really tried everything before leaving it for another coast. It feels home to me now because it is wild and with large spaces, but it is also a big city. Anyway, we just opened a Timbuktu office in a WeWork in Astoria, so I will come here more often.” Favilli’s company has indeed grown a lot in the last two years and now counts full-time employees.